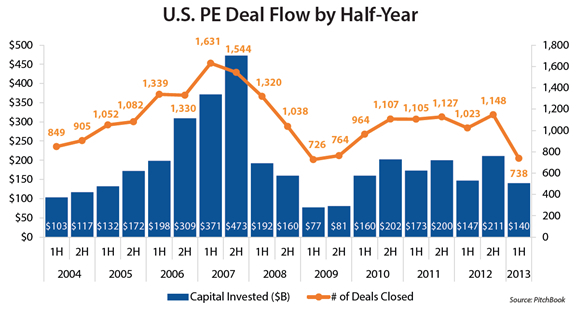 “Dealmakers were optimistic heading into 2013, anticipating one of the most active years for private equity (PE) investment since the financial crisis. All of the pieces seemed to be in place: debt financing was cheap and readily available, PE firms were sitting on mountains of dry powder nearing expiration, there was a large inventory of aging portfolio companies, and investors were primed to get more clarity on regulation and taxation following the elections. 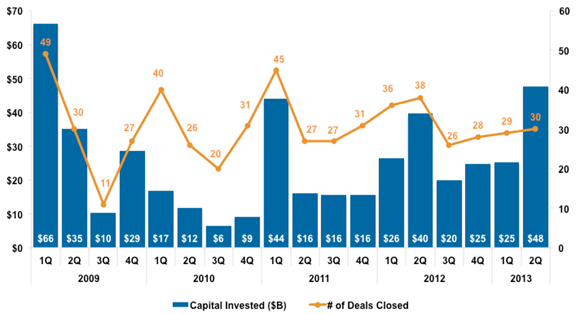 Their August 2013 Quarterly Report indicates only 33 deals closed in the first half of 2013 by their panel of 180 participating private equity firms compared with 96 transactions closed by this same group in Q2 2012 alone. Interestingly, considering this slow market environment, Q2 2013 was the strongest fundraising quarter for private equity firms since Q1 2009. This reflects, in part, a steady rundown in the PE capital overhang since the onset of the recession. While there is still a significant amount of dry powder in the industry, it now appears that investors remain committed to alternative investments such as PE and have proven ready to make new commitments to the asset class. Coming off an extremely weak March-May, June closings picked up strongly and we expect the increased activity to continue through the end of this year. Our unscientific survey of various private equity firms, lenders, and investment bankers confirms not only the lull in activity during the H1-2013, but also greater activity since then. This has been consistent with our own experience over the years. The first chart above shows that, with the exception of H2-2008, private equity activity has shown strong seasonality, with second half closings consistently and, sometimes, significantly higher than those in the first half. 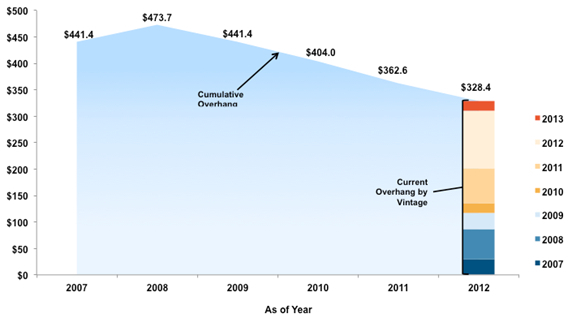 We’ve previously shared our view that the current era represents one of the strongest sellers’ markets ever. Valuations for high performing middle market businesses are at or near historic highs. Nothing in the year to date data brings that analysis into question. If this cycle holds true to the past, we still have one to two good years before the inevitable cyclical downturn. We have not witnessed the type of late cycle buyers’ panic that has characterized previous market tops and we remain cautiously optimistic that the positive environment will continue for some time. There are, however, three new clouds on the horizon, any one of which could significantly affect the outcome: 1) a continued rapid rise in long term interest rates; 2) some discussion of a possible downturn in the equity markets; or 3) expansion of the “Arab Spring” events into a larger crisis in the Middle East. 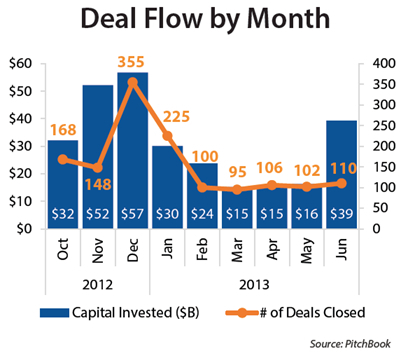 The next few months should be an interesting time for the M&A market and we’ll be back to report on the outcome.